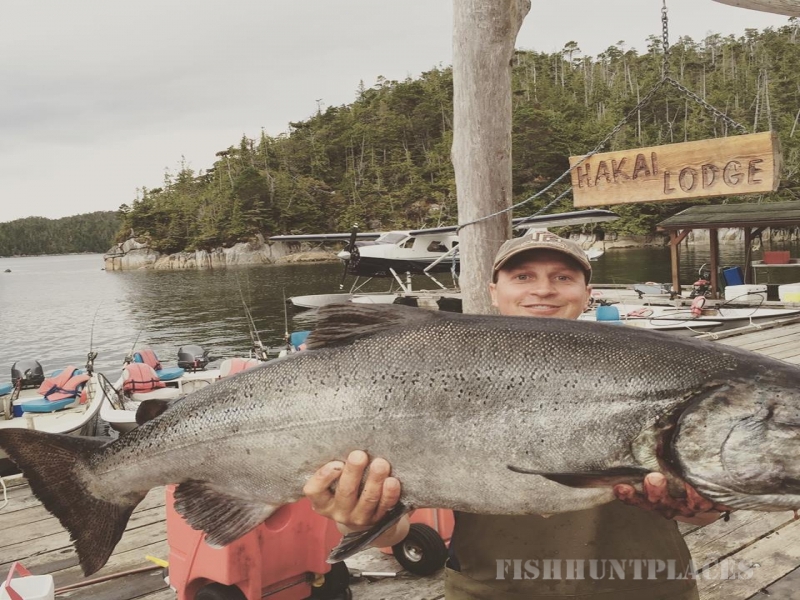 HAKAI LODGE is a world-class, rustic fishing hideaway floating in the heart of the world's most famous trophy salmon fishing waters in remote British Columbia, Canada. Located nearly 100 miles from the nearest town, private boat or sea plane are the best ways to reach HAKAI LODGE. Our 40 years' experience, abundant calm fishing grounds, scenic beaches,fantastic staff, and great dining are sure to provide a fantastic fishing getaway. 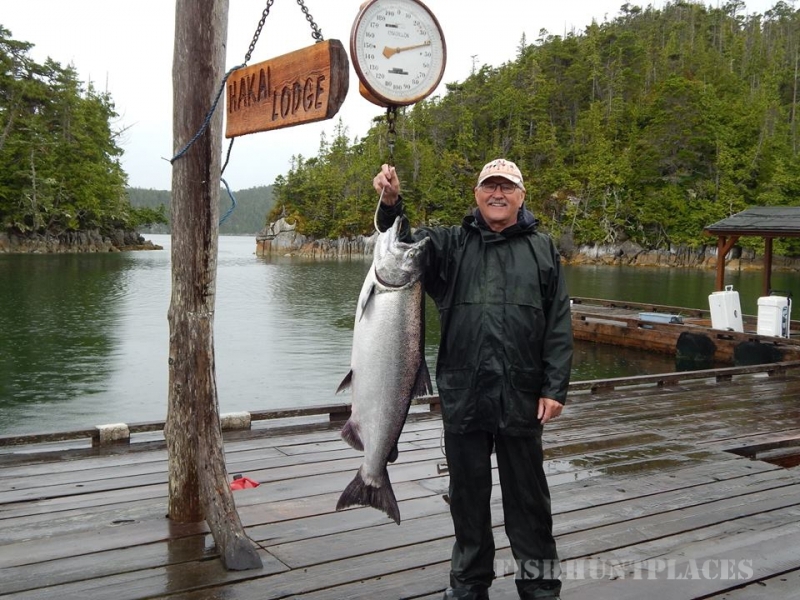 Among all BC fishing lodges, HAKAI LODGE offers the very best fishing grounds. 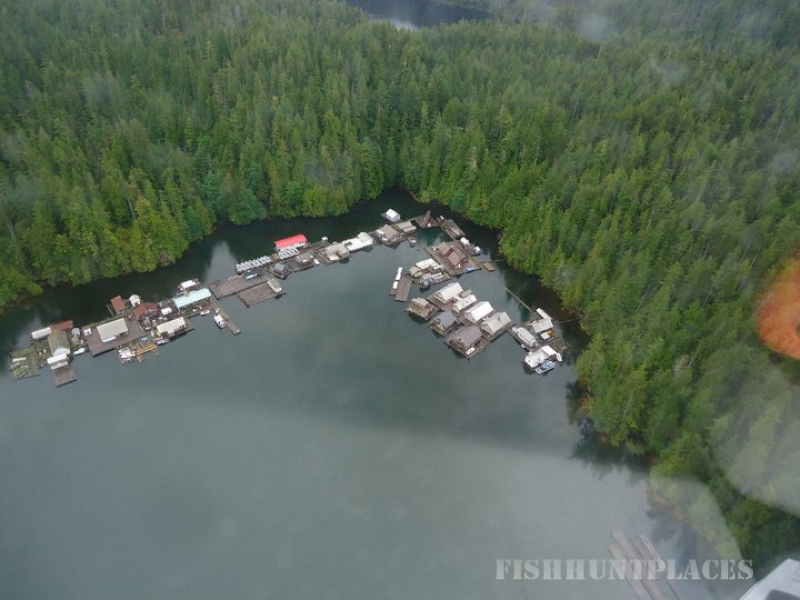 The fishing grounds of Hakai Passageare protected from commercial fishing by the Canadian Department of Fisheries. This has resulted in strong, consistent annual runs of King Salmonand huge halibut, heading for nearby Rivers Inlet. 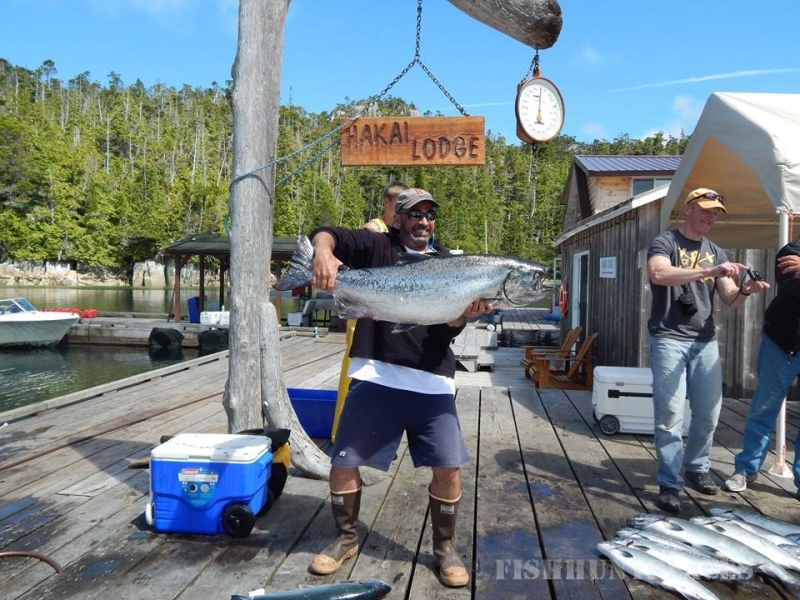 Guests at HAKAI LODGEconsistently catch fish in the 40 – 95 pound range, including several fishing derby award winners. 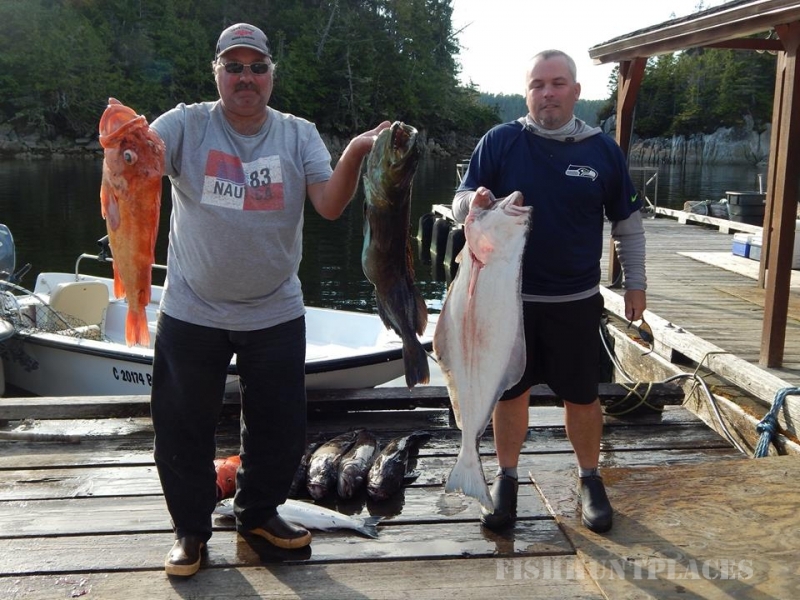 Come hook a King Salmon of 30 – 40 pounds or more; Coho over 20 pounds; halibut from 50 – 70 pounds and up; not to mention abundant sockeye, red snapper, sea bass, and ling cod. Or try to break our 76-pound record catch of a giant Chinook Salmon! Besides the fishing advantages of these shallow, protected waters, HAKAI LODGE enjoys one of the most beautiful,scenic fishing destinations – with over 50 miles of sugar-white sand beaches, hundreds of uninhabited islands, and incredible sunsets. Regular sightings of wildlife include whales, bald eagles, whales, mink, otter, deer, and much more – the area is teeming with life. 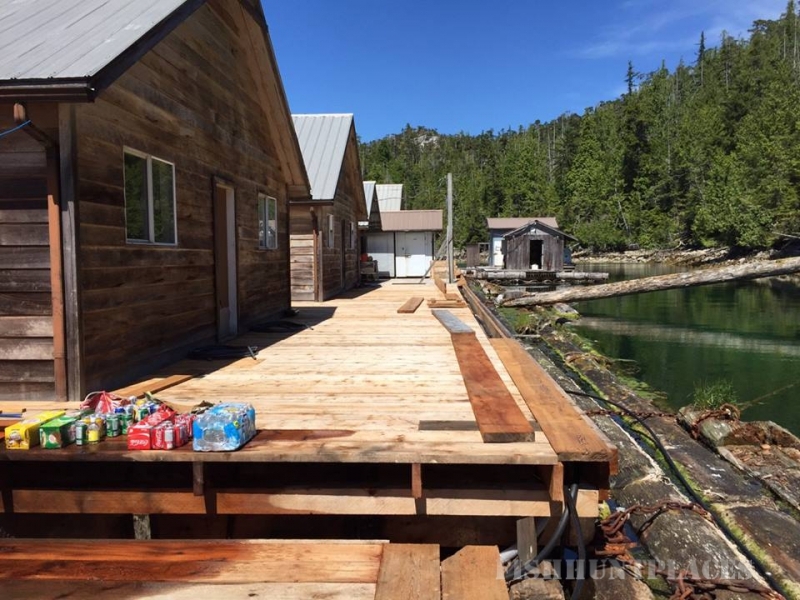 HAKAI LODGE has over 40 years' experience and an expert staff. Our fishmasters will get your fishing day started in one of our Boston Whalers, recently fitted with new motors. They will clean and pack your salmon, halibut & other catches for the trip home. Our professional chef & bakerwill cook meals to order, including salmon, halibut, prawns, beef, and poultry; fresh breads, rolls, pastries, pies and cakes and baked daily. A hearty country breakfast, and buffet-style lunch, will keep you fishing all day long. Our recently updated, spacious cabins accommodate over 35 guests, with daily maid service. For those needing to remain connected, we offer a WiFi hotspot.